Central American and Colombian Art at Dumbarton Oaks – James A. Doyle, Ph.D.
…or, the catalog formerly known as the Intermediate Area Catalog. Photo by Joe Mills, Dumbarton Oaks. Front, left to right: Karen O’Day, Colin McEwan, Silvia Salgado, Maria Alicia Uribe, Francisco Corrales, Julia Mayo; Rear, left to right: Antonio Curet, Victoria Lyall, Nawa Sugiyama, Richard Cooke, Ainslie Harrison, Bryan Cockrell, Juan Antonio Murro, John Hoopes, David Mora Marin, James Doyle, Rae Beaubien. 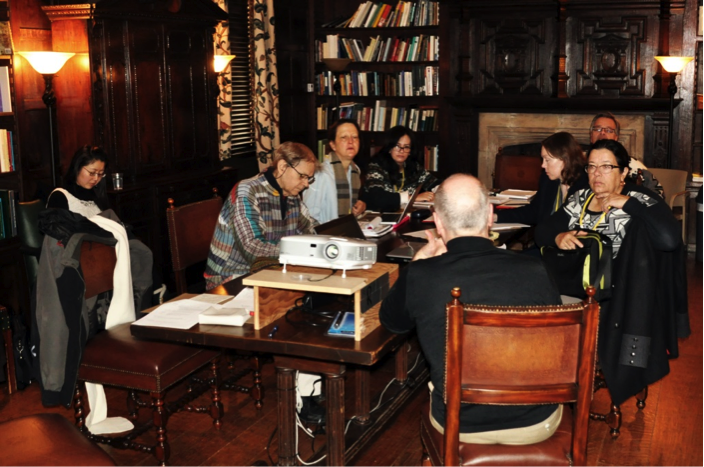 From January 12th to 19th, the Pre-Columbian Studies department held an objects-based workshop to initiate the production of the catalogue of Ancient Central American and Colombian Art at Dumbarton Oaks. Roundtable discussions, presentations, group object viewings, and individual analysis time shaped the descriptions of the collection and the thematic direction of the final publication. Authors completed first drafts of the catalogue entries that placed the Dumbarton Oaks objects in context within other museum collections and archaeologically recovered materials. Photo by James Doyle, Dumbarton Oaks. 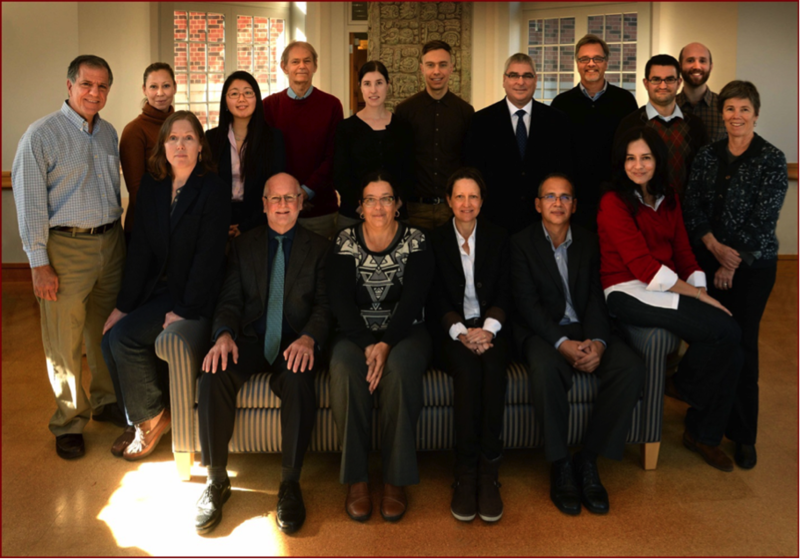 Invited participants included Richard Cooke of the Smithsonian Tropical Research Institute in Panama, Francisco Corrales Ulloa of the National Museum of Costa Rica, John Hoopes of the University of Kansas, Julia Mayo of the Fundación El Caño in Panama, David Mora Marin of the University of North Carolina at Chapel Hill, Karen O’Day of the University of Wisconsin–Eau Claire, Silvia Salgado of the University of Costa Rica, and Maria Alicia Uribe Villegas, director of the Gold Museum of Bogotá. Colleagues from the Smithsonian National Museum of the American Indian (Antonio Curet, Ann McMullen) and Museum Conservation Institute (Rae Beaubien, Ainslie Harrison, Kim Cullen Cobb), as well as the Los Angeles County Museum of Art (Victoria Lyall), joined Dumbarton Oaks staff and fellows in a lively and productive discussion. The workshop set the stage for further synthetic essays in the catalogue, as well as future avenues for technical analysis of both stone and metal objects. One of the main objectives identified by participants was the need for an iconographic concordance through photographs and drawings, as well as a visual, biological, and technological glossary to guide future research on the art and archaeology of the area. Bridget Gazzo of the Research Library mounted a beautiful exhibit coinciding with the workshop, titled “All that Glitters: Gold of the Circum-Caribbean,” that will be on view through March 2014. Congratulations on this important development. One question, though: Panama and Costa Rica were well represented, but not some of the other Central American countries. Does this reflect the DO collection itself? Hi, Geoff! You’re exactly right. 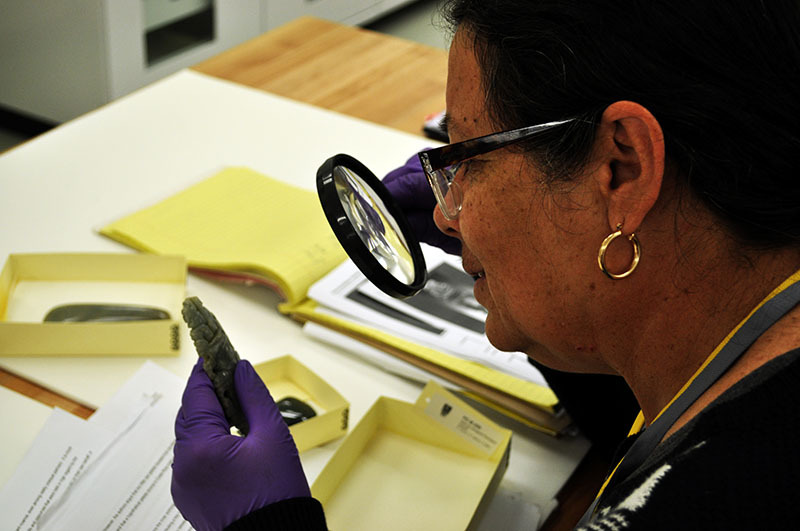 With this preliminary workshop we focused on the limited scope of the objects in the collection from Costa Rica, Panama, and Colombia. Moving forward we hope to build out to include other bodies of material.